The taproot portion of the beet plant, beets are known by many other names such as beetroot or sugar beets. It has been in use since Roman times, exists in various cultivated varieties and most people may not be aware that they are actually ingesting beets as it is used as a common food coloring agent called E162. Nutritional value: A half cup of sliced cooked beets (about 85 grams in weight) provides a good source of fiber (1.7 grams), protein (1.43 grams) and iron (0.67 milligrams). This is equivalent to a small apple but 4 times the protein content, and more than 7 times its iron content! Beets also provide many other nutrients like potassium, zinc, magnesium, folate, vitamin A, vitamin E and B vitamins. Comparing the raw and the cooked (boiled, drained) versions, the two forms are comparable in nutritional value. The main difference between eating the raw version versus the cooked is that you get a measurable amount more folate (about 40 micrograms Dietary Folate Equivalents more per 100 gram weight). Beets are a rich source of phytochemical compounds like nitrate, betalain pigments, ascorbic acid, carotenoids, phenolic acids and flavonoids. Research is showing that many of these compounds display strong antioxidant, anti-inflammatory and chemo-preventive properties. Hence its consumption may be a health benefit in many areas, such as in the prevention and treatment of certain chronic diseases like hypertension, heart disease, liver disease and cancer. Many of beets’ constituents are potent antioxidants, helping to keep our body’s cells in a state of redox balance. This means intake of these and other fruits or vegetables high in antioxidants help to fight excessive reactive oxygen and nitrogen species generated within the body from internal and external causes. Beets may also increase the body’s existing internal antioxidant defenses, leading to a synergistic effect. In terms of inflammation, investigations so far are revealing that betalains and beet extracts may help to block pro-inflammatory signaling cascades, weakening the progression of chronic inflammation which is implicated in many chronic medical conditions. The role of beets’ compounds are also being further investigated in areas such as cognitive function and endothelial function both in the laboratory and on actual human subjects. So the next time you see beets on offer at the store, try them! My husband and preschooler were skeptical trying these, but after cooking it a few different ways, these now make a regular appearance on our dinner table. See upcoming posts on some recipe ideas for ways to serve beets! Clifford T, Howatson G, West DJ, Stevenson EJ. 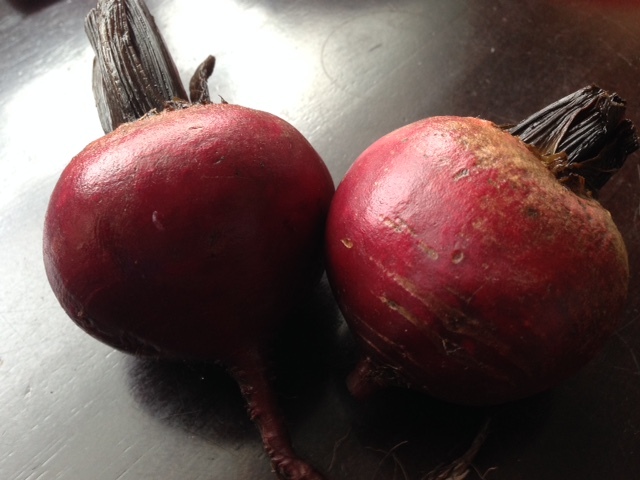 The potential benefits of red beetroot supplementation in health and disease. Nutrients. 2015 Apr 14;7(4):2801-22. doi: 10.3390/nu7042801. https://www.ncbi.nlm.nih.gov/pmc/articles/PMC4425174/. Accessed March 12, 2018.